...picked up sonic racing for just over 6 quid. Ps3 and xbox 360 deals too. To be honest I kinda do this alot. Buy something expensive get bored with it, sell it then get one later on when its cheaper. Its not a reflection on the switch itself - its more about my attention span. Im getting abit bored with my switch so I am considering putting it on the trade thread for 200 quid. Any interest and i'll make a proper thread for it over in trading corner. Seems to have most of the main SF games including the original Street Fighter which I've never actually played before. Adventure Time's on my ever growing "modern kid shows that I should check out" list that never shrinks. 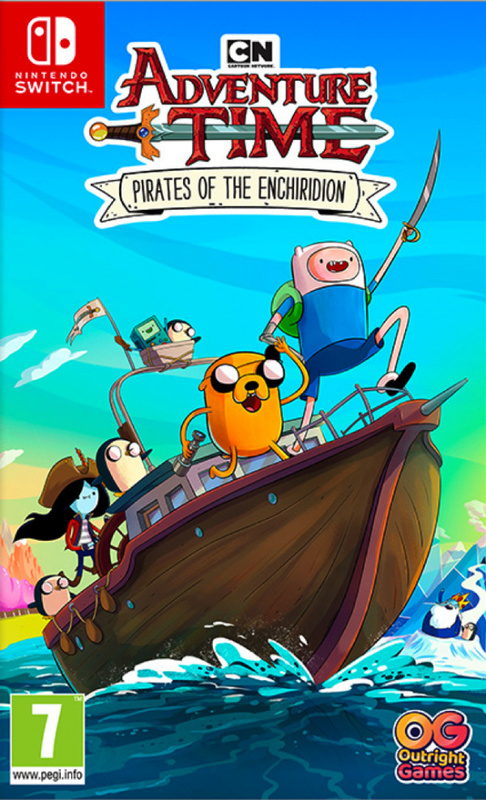 I pre ordered Adventure Time: Pirates of the Enchiridion and its on the way. Its out tomorrow. Anybody else want this? Ok no probs. Ive put it on facebook marketplace now anyways and had some interest. does it work, does it come boxed and what firmware is running on it? Its unboxed and on the latest firmware (3.68) Everything works as it should. I'll get some photos up tonight. Finally managed to get a switch (thanks to my shiney new credit card) and have been playing around with Mario Odyssey. Liking it so far. Plus i'll be able to play Yooka-Laylee at last. Limited Run games are releasing a physical version too. Anybody else gonna get this? I'd love to take it - sadly All i can offer to replace is a platinum copy of Toca for the PS1 and that seems unfairly uneven. Untested but should work OK. Can't find my SNES cables to test it.